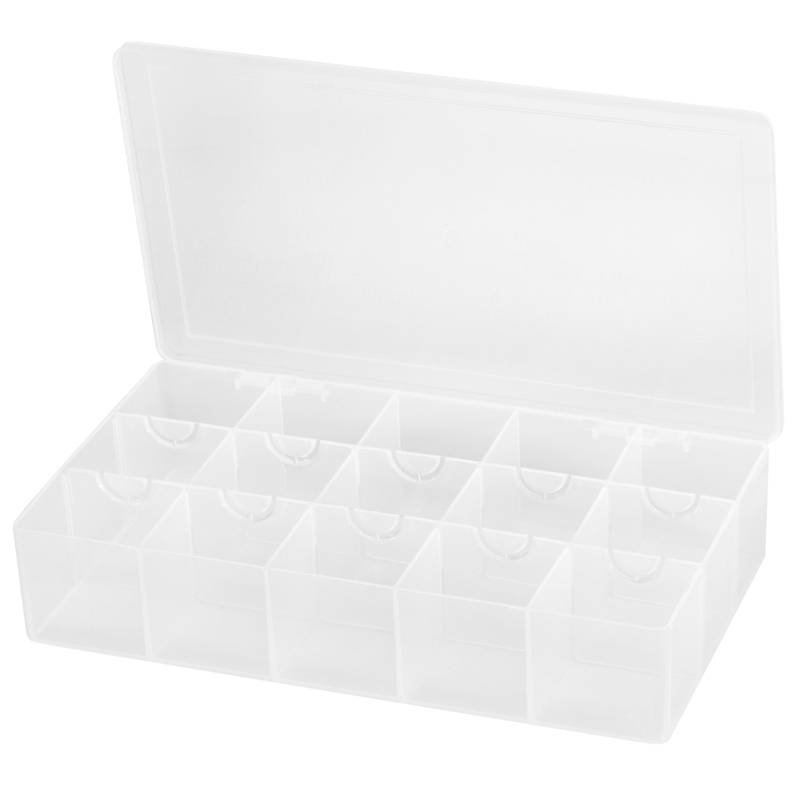 Utility Box, 18 Compartments 8-5/16x4-5/8x1-1/2, Clear (96352A). This item sold in carton quantities of 12. 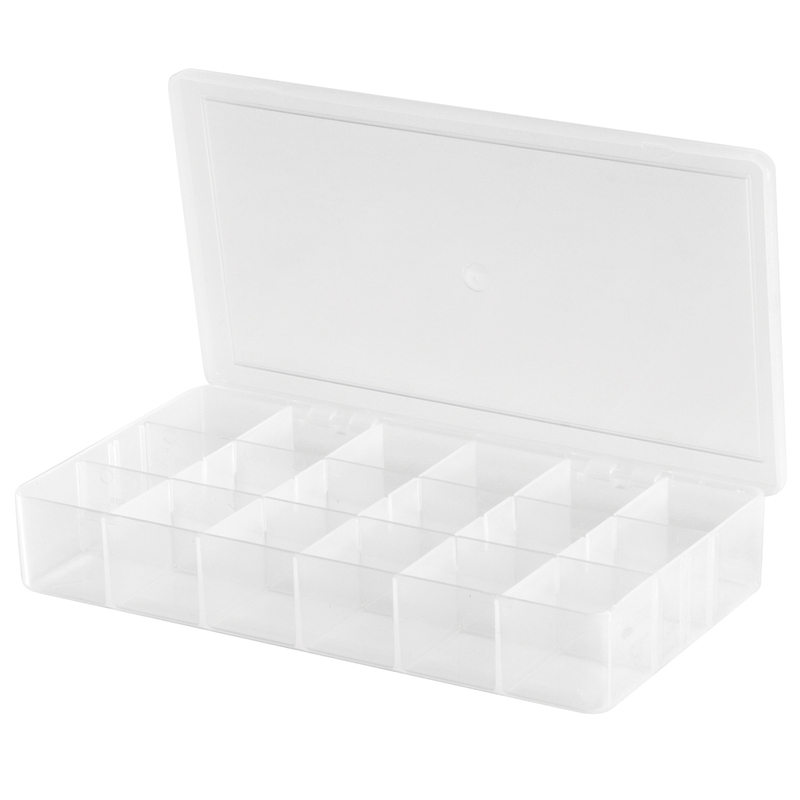 Utility Box, 15 Compartments 11x6-3/8x2-1/2, Clear (96352B). This item sold in carton quantities of 6.